What photograph has the power to transport you back to that day and time? 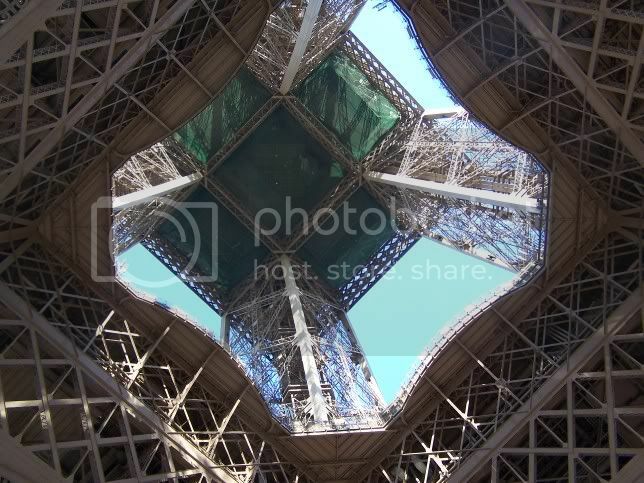 Standing directly beneath the Eiffel Tower one morning in July of 2006. I've taken a number of photos that take me back to a particular day and time, and this is one of my favorites. That's a great picture. Like, really good. Like I said, it's one of my favorites. I've been thinking of having made into a puzzle. Yeah, it kinda does, doesn't it? Wow, this is pretty sweet. You shouldn't tell people what it is and see if they can figure it out. I have it as my wallpaper on my computer at work, and when people ask I give them a few moments to figure it out before I tell them., but they usually don't.